Finance Ideas 4u: What is Zero Depreciation Cover and When Should You Buy It? What is Zero Depreciation Cover and When Should You Buy It? 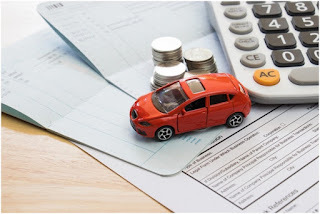 The most frustrating things for a car owner—first, involving in an accident and damaging the car, and second, finding out that the insurer will cover only a part of the expenses because depreciation eats away the remaining amount. After reading this, you might be thinking that you will never face this problem as you are covered under a comprehensive car insurance. But the bad news is that even a comprehensive car insurance is not as comprehensive as you might be thinking! When you file a claim, your car insurer will employ a rather complex formula to compute the amount payable. This formula considers the depreciation, leaving you to pay an exorbitant amount of the overall cost. You might be angry to know that even your comprehensive policy is insufficient and thus, you could ask, “Why do they call it comprehensive when the complete coverage is not offered”? Well, it is easy to argue over the terminology, the right move is to concentrate on zero depreciation cover. What is a zero depreciation cover? As the term, itself says, a zero depreciation cover settles the entire amount without factoring in for depreciation. It means, if your car meets with an accident and is damaged, and you file for a claim, the insurer will cover the entire expenses. 1. If you have a new car: The minute you drive your car out of the showroom, depreciation becomes active. It means, if your car gets damaged the following day, the insurer will only settle a fraction of the cost to replace plastic parts, etc. So, you should go with a zero depreciation cover to ensure any loss or damage to your new car is covered. 2. If you have a luxury car: Each part of a luxury car costs a leg and an arm. So, how about going with a cover that promises to settle the entire amount? A zero depreciation can make it happen! 3. If you are new to driving or are accident prone: If you are a new driver or have a history of damaging your vehicle, it makes sense to go for a zero depreciation cover. 4. If you pass by or live in a theft-prone area: If you regularly take a route which has various accident-prone spots or you live in an area where theft is common, it is worth to buy a zero depreciation policy, as it would give you peace of mind to know that your vehicle is covered. 5. If you worry about small dents and bumps: If a small dent or scratch is enough to panic your soul, then zero depreciation cover is an apt choice for you. 6. If you have a car with expensive spare parts: Have you bought a car with expensive spare parts? As your vehicle is equipped with expensive spare parts, it is necessary to add zero depreciation cover with your comprehensive car insurance policy. Whether on the road or at rest, a vehicle is vulnerable to various types of losses or damages. A standard car insurance policy may not be sufficient to protect your car as much you require. So, strengthen your comprehensive car insurance policy with a bumper to bumper cover. Believe me, you won’t mind the extra premium!